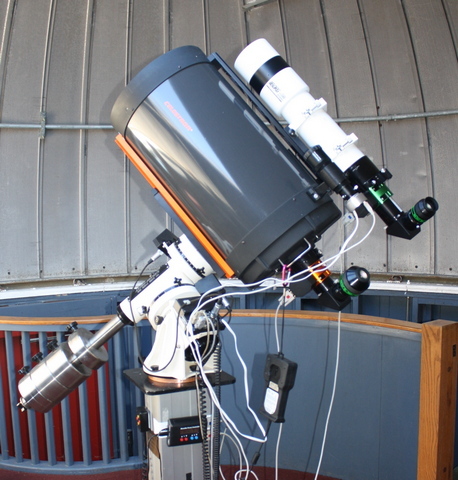 With continued support from our members, we currently have the Celestron CGE 1400 mounted on a Astro Physics AP900 CP mount with a Pier Tech II adjustable pier. In September 2018, MoonLite focusers were added to the C14 and Borg. 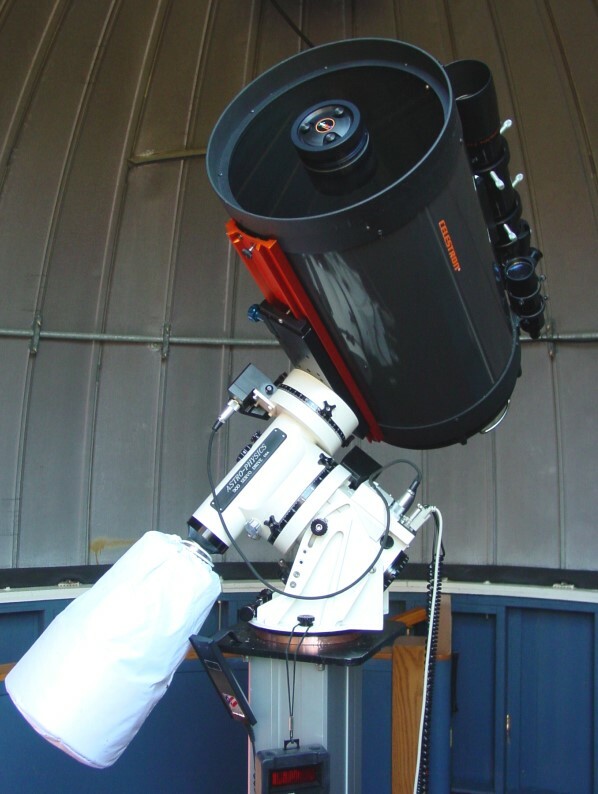 Celestron CGE 1400 mounted on a Astro Physics AP900 CP mount with a Pier Tech II adjustable pier. 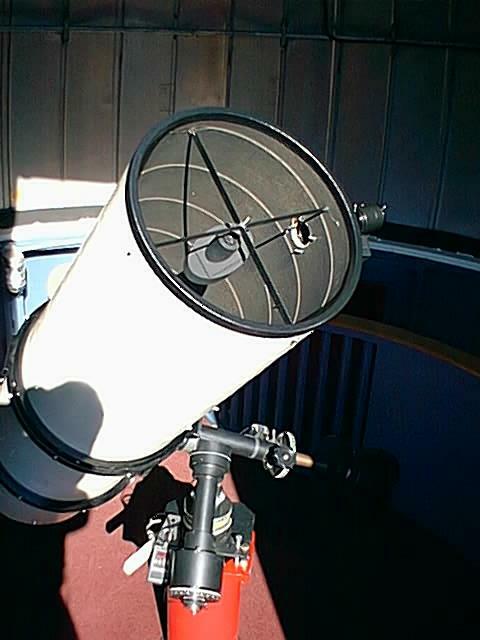 In April 2013, the Borg 125 scope was mounted on the CGE 1400. Scope configuration, prior to Borg 125 addition. 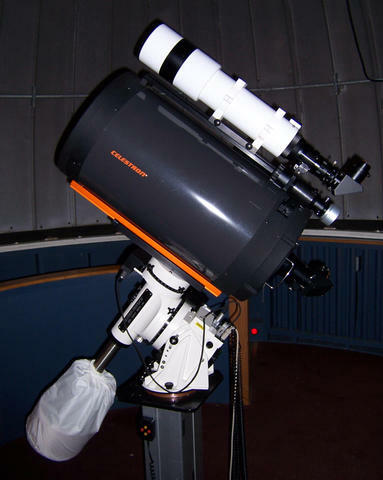 With the active financial support of club members, the local business community, and club initiated fund raisers, SMAS selected and acquired a Celestron CGE 1400 Schmidt-Cassegrain in July of 2003 as its current main telescope. 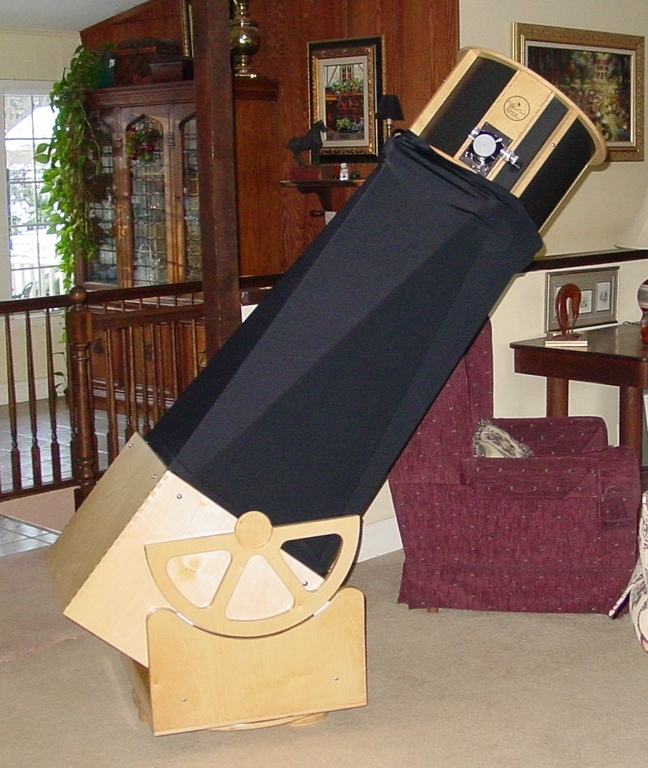 With the support of Charles County Board of Education, the club starter (1999) telescope was a used Meade 16 inch. 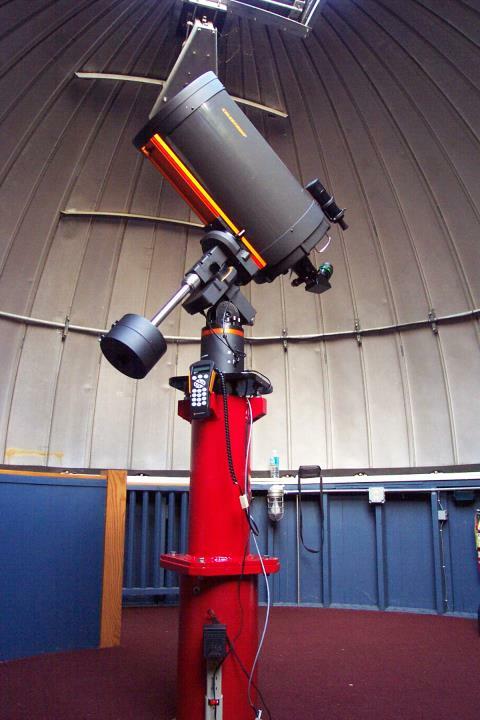 The orginal Meade 16 inch scope is now a Dob stored at NCO.